Question: I have recently launched a new site and got it a few authoritative links. For my search queries related to my brand Google is ranking an internal page instead of the home page. Why? Answer: When a site is new and has few inbound links the PageRank computations tend to be rough estimations. It is common for a page linked to sitewide, like an about us page, to outrank the homepage until they better understand the internal site structure and PageRank flow. What if My Site is Older? Some pages get filtered out of the search results for being too focused on a keyword or keyword phrase. Make sure you mix up your inbound anchor text, page title, meta description, page headings, and page content. If you see a women's volleyball page outranking your core volleyball page and your core volleyball page used to rank really well but is now nowhere to be found then likely it got filtered out. If the wrong page style ranks and gets linked to then that advantage sorta builds on itself and the wrong pages continue to rank. If you have printer friendly pages or other duplicate content pages ranking you may want to look into demoting their role in your internal link structure. Informational pages tend to outrank most sales / conversion oriented pages because typically they have more relevant on page content and deliver greater value to common web users, which makes people more likely to link to them. If you have an informational page ranking where you would like your sales page to rank you have numerous options. Advertise your product or service aggressively on the information page. This allows you to maintain rankings, maintain forward link momentum, and increase conversion rates. This is a low risk approach. If the idea of advertising too overtly scares you then you may want to consider using smaller ads and working the advertisement into the content with a text link. Switch the contents of the two URLs. This carries some risks, as some people who linked to the information page may remove their link if they see the advertisement page, though most old links stick. The other big risk is that competitors may eventually catch up because your ranking page may not gain links as quickly as their informational pages do, so the day you switch to an ad page you help them catch up. Change internal link weights. If you are placing a lot of link weight on the informational page but little on the sales page you can try to increase your internal link weight to the sales page while lowering the link weight to the informational page. Market both pages aggressively. It is typically better to have two listings in the search result than one. If one of your documents is a self reinforcing authority and your other document is within striking range of the top results you can market both of them. Ensure you make the descriptions and titles for each of them appealing to the right searchers. For example, the listing for the sales page can use commercial words like buy and best, whereas the informational page can use words like free, tips, reviews, etc. Market both pages aggressively. It is typically better to have two listings in the search result than one. One thing I have seen is to do a 301 redirect on the page that ranks lower in the serps to the one that ranks higher and move as much of the lower ranking page's content to the higher ranking page as possible. I tend to agree that 2 listings right under each other increase click through. But since google is grouping these and the second result is probably not really right after the first in the serps, the second might be vulnerable to getting knocked out. I guess if the redirect method gets you to a #1 position, it might be worth it? I wondered if you would share your thoughts on the two methods. That works too. It really just depends on how much each page is needed from a site functionality perspective, and what the second 301 redirected page will do for the first. For example, if the second page is held up based only on internal links then 301 redirecting it probably isn't going to provide much lift for the first page if your site already has a good internal link structure. Cata .. go figure on this one. About 1/2 day after my post .. my site re-appeared with power in google after 3+ months on the lamb. You mentioned switching the contents of two urls, do you mean just switching the page contents and urls? What are the long term pros of this? Well if the pages are ranking due to off page links then you would be having the more profitable page rank higher. Thanks, this post is very informative. I have been seeing a similar issue occurring on my websites recently but after a while it tends to shift. Would you put this down to the constant revaluation of traffic/PR flow through the site? Thanks, I have a page that is not very steady in the SERP's, I will give some of these a spin. Great post. What inspired this posting? I just read something similar somewhere else, then popped here and read this. Funny. I got an email a couple days ago asking this question. If you notice by my rapid fire publishing I did yesterday (like 7 posts or so) I had many posts saved up and then I just did final edits and hit publish. Some useful bits here, i've seen this happen a few times with some of our sites. I think this is what must have happened to my site at hidefdvd.com .. our homepage just cannot rank for anything. It steadliy climed and reached it's high point at rank #18 for "DVD Movies" about 2-3 months ago and then it just vanished to the deep end of Google - like +600. Shaun, you might have too many backlinks with the same anchor text pointing to your homepage. Or, you are using the keyword too often inside your site. What percentage of your pages are in the supplemental? There was a really good article I read recently on Search Engine Land about how to better utilize information pages which ties-in nicely with this post. Hi aaron. I have a number 1 rank for a term "big blue widgets". Now, that page is gone, I mean GONE. Instead a random, unlinked, non targeted page that happens to contain the keywords within the title, ranks on page 2. I am 99% sure the page has been filtered out, for being too aggressive. I've tried mixing up the title and h1 a little, as well as removing keywords from the page. But to no effect so far. The competitors have 100% exact match and which is frustrating. 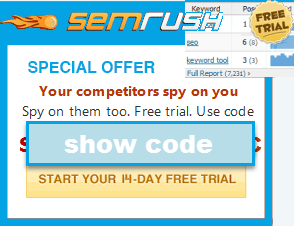 Internally, we have breadcrumbs that are highly targeted with exact match anchor text. But Google uses those in the results. So it would be a shame to start renaming those. Any ideas what else I can try? It's driving me mad. ... you are welcome to join our membership area and ask as many questions as you like in there (& that part of the site isn't publicly accessible to GoogleBot).